rand control and unit control. Understand retail pricing: cost of goods and mark-ups and managing price changes. Understand selling, communications mix, retail promotion activities. Understand advertising, various media opportunities and sales promotions. Possess knowledge of store locations, best positioning and best design layout. Possess knowledge of customer focus, how retailers should focus on their customers. Be able to discuss how retail buyers can be guided to buy the right merchandise. Understand the importance of suppliers. Able to operate Word Processing and Spreadsheet software. Have a working knowledge of e-mail and the internet. Learners will be required to pay additional fees to UNISA and FMI (if Introduction to Business Accounting (FMI) is chosen as a Choice subject). 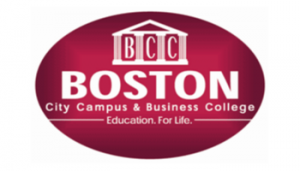 These will be quoted by and paid to Boston City Campus and Business College, and transferred on the Learner’s behalf.